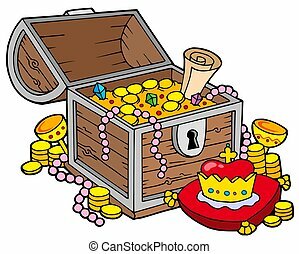 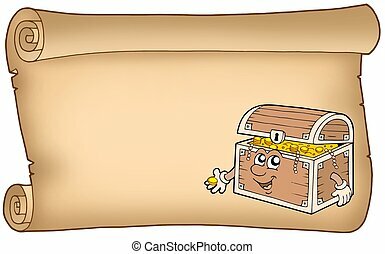 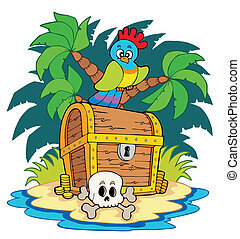 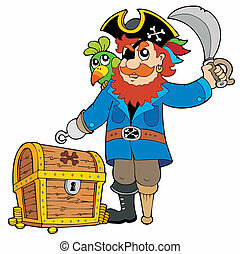 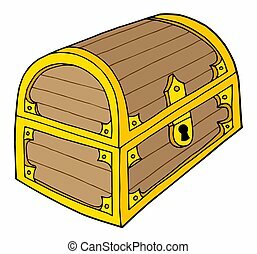 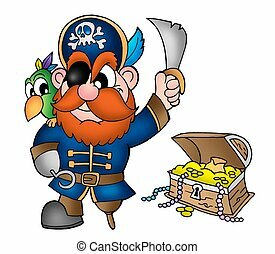 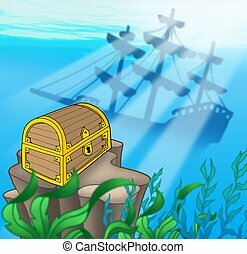 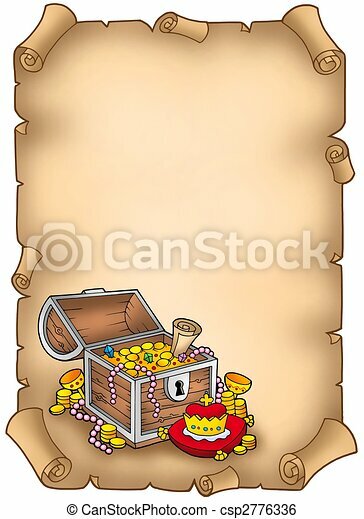 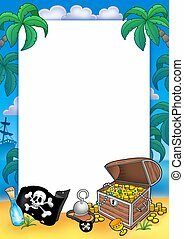 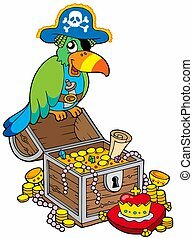 Old parchment with treasure chest - color illustration. 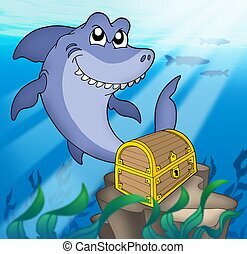 Shark with tresure chest - color illustration. 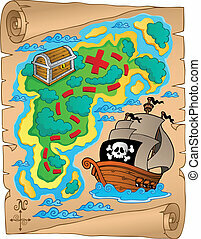 Parchment with treasure map 2 - vector illustration. 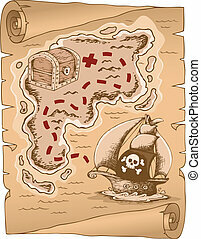 Parchment with treasure map 1 - vector illustration. 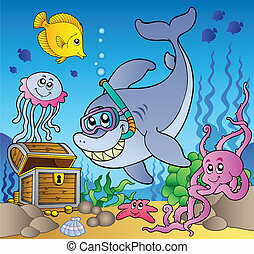 Shark diver with treasure chest - vector illustration. 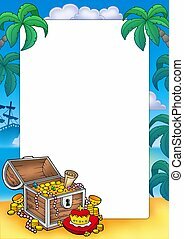 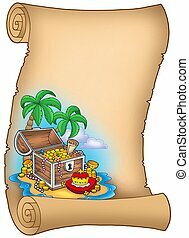 Parchment with treasure on island - color illustration.